Someone wrote a book on Banksy. And, as everyone knows, when a book is written, it must be launched. Home Sweet Home, a biography of the artist, was welcomed into the world with a party at Cargo on Rivington Street in east London last night. Some more nice pics of the event from unusualimage’s Flickr. Next Post Where has all the rage gone? 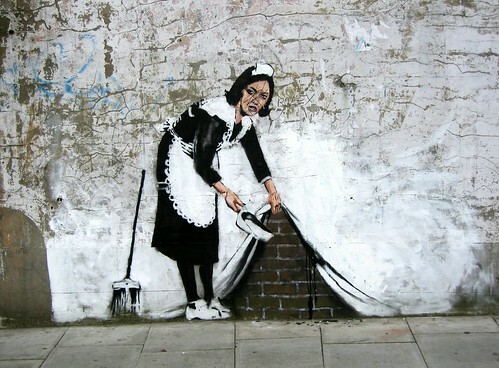 Hee hee, Banksy! Sorry. I meant the other Banksy. Paul Banks. But I like the Camden picture. That’s neato.